Experience the best of country life in this beautifully-maintained country property with a picturesque pond! If you plan to settle in the country, this Central Virginia country property for sale is the perfect opportunity for you. Perched on over 57 acres of scenic land, it has a gorgeous 3 bedroom, 1 bathroom log home, a large barn ready for your horses, cows, goats, and more, and a carport that can comfortably fit two cars. 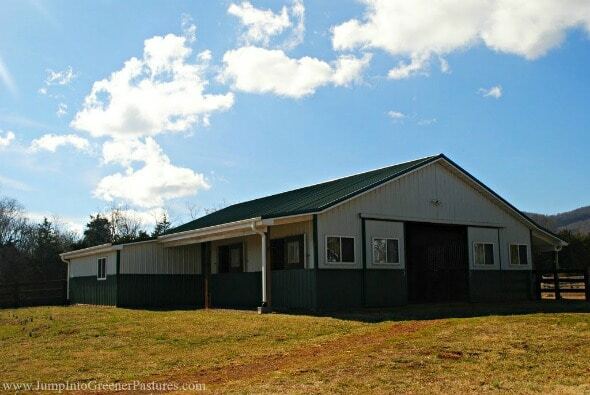 Everything you need is on this Central VA farm, so make your move now. Make it yours for ONLY $550,000. Call me, Pam Dent, at (434) 960-0161 to schedule a showing. More than two acres of space, million dollar views, and the opportunity to own a small farm are yours in this darling 2.23 acre horse farm set off Free Union Road. If you are looking for a small farm where you can grow your own foods or have a place for your horses, this Charlottesville mini-farm could be what you are looking for. Set on a flat land and surrounded by beautiful mountain views everywhere you look, this property is also a perfect getaway from the stress of city living. If you are a photography enthusiast, you’ll be thrilled by the gorgeous scenic photos you can get, and there are many! Imagine waking up early to catch the morning rays of sunrise peeking through the mountaintops. And then there are breathtaking sunsets when the whole sky’s ablaze in orange, red and purple. This property is captivating in all seasons at any time of the day! 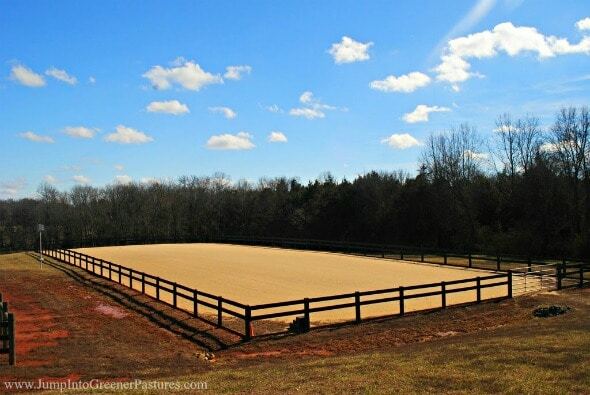 For your horses, there is a custom stable with two stalls, tack room, and a loft. The stable can be used with two stalls or can be opened up to allow for run in. The tack room is located along the side of the barn. The loft space over the stable has numerous uses. This custom barn has a roof with a lifetime guarantee, which is an amazing advantage. This property has plenty of large shade trees, and the fenced pasture is ready for a couple of horses. This farm also has access to miles of riding trails, and you can explore all day and come home thrilled and happy. Located off Free Union Road, this home is more than just space and views. It also offers convenience and amenities within a short drive. You can enjoy fantastic wine tasting at Glass House Winery, located in the neighborhood and just a mile drive away. Enjoy hunts and games with your fellow horse enthusiasts at Farmington Hunt Kennels and Clubhouse, less than a mile away. Downtown Free Union is only seven miles away. If you need to stock up on your canned goods or do some shopping, Charlottesville is only eleven miles away. This property is perfectly situated. It is far enough to provide peace, relaxation and retreat, yet close enough so you don’t have to give up on amenities and conveniences. The 3 bedroom, 1 bathroom, 1,479 square foot cottage of this Charlottesville farmette for sale is set among stately shade trees. A spacious front yard shaded by mature trees welcomes you to this property. The front porch awaits, perfect as a relaxing spot to read, relax, chat with visitors, and to enjoy your morning coffee. The interior features display a tasteful neutral toned palette, a visually pleasing setting for everyday life. It is bright and airy, thanks to the large picture windows that frame the park-like surrounding and allow light to stream in the living room. The hardwood floors provide warmth, complementing the neutral toned walls. If you love to entertain, the size of this home’s living room is perfect. The attractive archway is unexpected and provides character and interest. It leads from the living room to the breakfast room and kitchen. The light-filled open floor kitchen has everything you need. With an electric range, microwave, refrigerator, wood cabinets and ample counter space, it is a great spot for any keen chef. Bake your loved ones’ favorite treats and take Instagram-worthy photos of your culinary masterpieces in this large country kitchen. On the other side of the kitchen is a good-sized breakfast area, a lovely spot to use for family gatherings and celebrations. The open kitchen style of this Free Union horse farm is convenient and flexible, allowing easy communication and plenty of space for movement when you have guests. This cottage offers three good-sized bedrooms with large windows that overlook the picturesque surrounding. The master bedroom has windows with gorgeous mountain views. There is also a bathroom which has been recently updated to cater to your needs. If you think this home has a lot to offer, you’ll be surprised to know there’s more. There’s also a recreation room in the walk-up terrace level. It has a wood stove that can warm the entire room. There’s also a well-spaced sunroom with huge windows you’ll think you’re already outside. It is the perfect indoor-outdoor space and great for entertaining. And don’t forget the detached 3-car garage. The garage has two bays in front with a third bay to the rear which could be used for a shop, studio, office or finished for additional living space. This mini farm or hunt box is so special, not just for its location, views and features, but also for its affordable price of ONLY $385,000. To see more photos of this property, please visit http://JumpIntoGreenerPastures.com. Properties like this Charlottesville mini-farm are rare, so don’t miss the opportunity to make this one yours! Call me, Pam Dent, at (434) 960-0161 to be personally amazed at the picturesque views and amazing features of this property. I’ll be waiting for your call.